Sachin clarifies no one should tell him when to retire ! 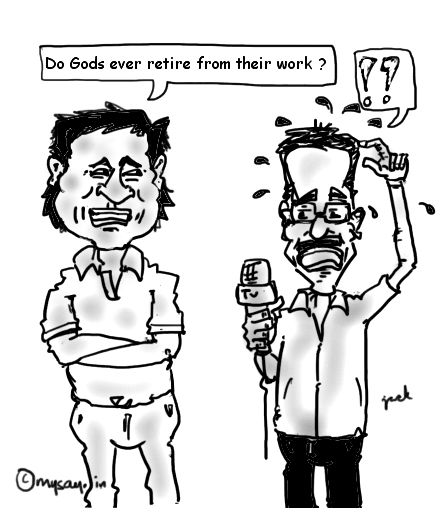 Sachin says no one should tell him when to retire! Sachin Tendulkar , the batting legend,fondly called master-blaster, took a little long but completed his 100th century in the Asia Cup 2012 , against Bangladesh and henceforth has been able to answer the critics who would want him to retire and were accusing him of being selfish and record-oriented. In an interview today, he declared, no one should tell him when to retire and that he is a better person himself to decide the same! Interestingly,Sachin has got his hair straightened and given himself a new look,altogether !